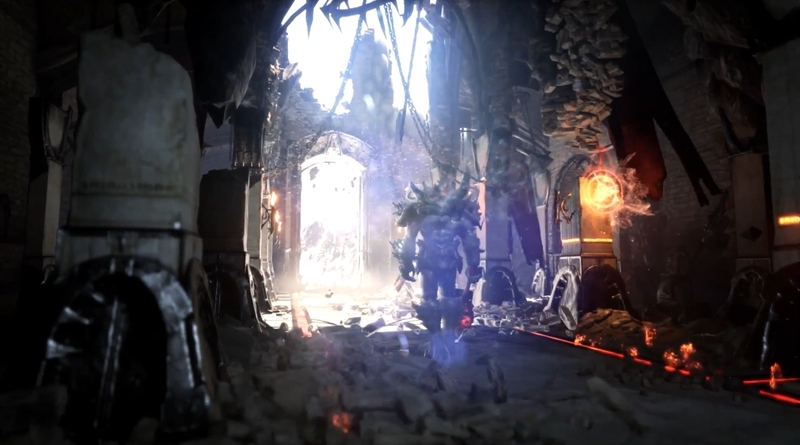 Coming out of GDC 2013 Epic Games has let loose a series of new technical demos showcasing the power of the Unreal Engine 4. 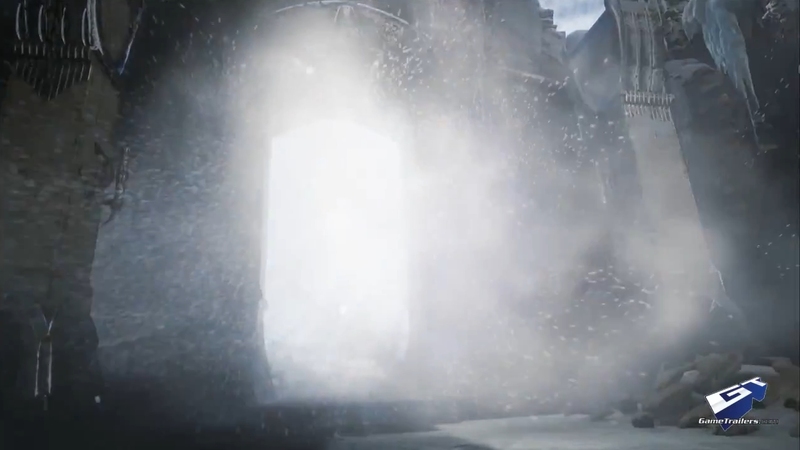 While this tech demo is a year old for the PC Master Race, who got to see the power of the UE4 on a single GTX 680, this PS4 demo obviously shows as much potential for the console as it does the age-old video card that the console will be sporting. 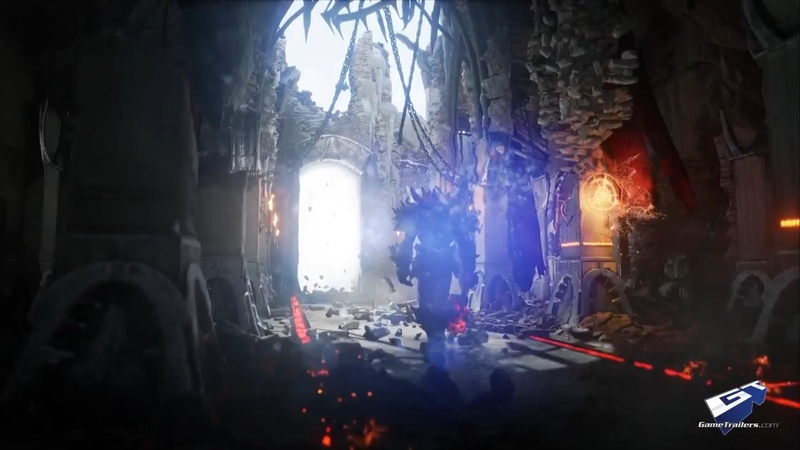 At first the PS4's Unreal Engine 4 demo looks like it contains the same kind of parity as the PC Demon Knight demo, but after things really start cooking and the effects start flying, we begin to see that the parity is not the same and there is an obvious gap in the visual fidelity between the PS4 real-time demo and the PC demo from a year ago. 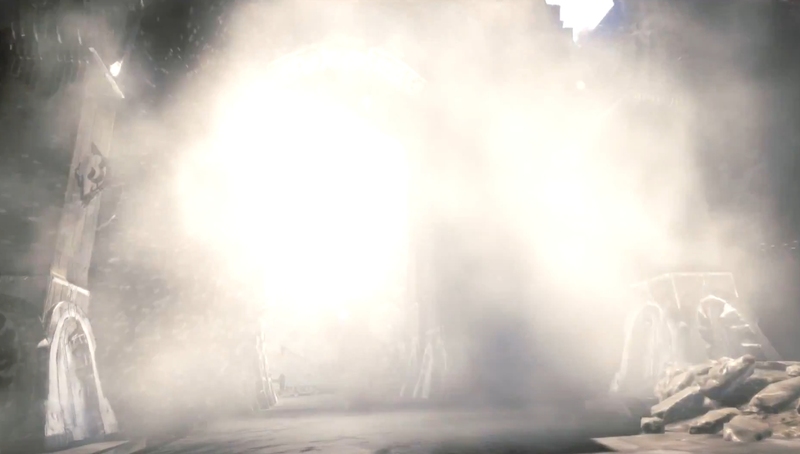 Some of the bigger differences between the two demos comes into play around the 50 second mark, where the doors blast open and you can clearly see where the volumetric snow particles have been replaced with that ugly old frost effect that we've been seeing all throughout this current generation of gaming. The liquid lava effects also show a slight disparity between the PC and PS4 versions, with the PC version indubitably being more detailed and smooth and the PS4 version having slightly less detail. And you can obviously see where some of the global shadow casting has been removed in the PS4 version, where-as with the PC version all the reflective shadows from every corner and crevice shows up in full-scale detail. I think the most obvious difference is between the physics. Man, the physics for the PS4 version looks pretty sad compared to the physics capabilities of the PC version, especially with many of the fractal chunks being much larger for the PS4 compared to the pieces and chunks of rock that fall and break into much smaller pieces and with greater fluidity on PC. Now some of you may not think this is that big of a deal, but this will play a huge factor in things like physical deconstruction of buildings, vehicles, characters and more. This will also play a big part in games where you might use psychic effects to affect physical debris and environmental details. Fewer on-screen moving objects will truly limit the potential of some games, depending on their design scope, which can affect the kind of immersion some developers may be going for. Nevertheless, at least the PS4 can run Unreal Engine 4 properties at a decent rate and with enough quality to tell an obvious difference between PS3 games and PS4 games. Let's just hope that developers don't peak the consoles too early. More than anything, though, this shows a huge difference between last generation PC tech and new generation console tech, and how old PC hardware still runs circles around consoles that haven't even been released yet. You can learn more by visiting the official Unreal Engine website or check out the latest tech demo for the Unreal Engine 4 featuring their new Infiltrator below.